The liveliness of a city is reflected in the activities of its inhabitants: how, when and where they move around in it. Walking is the most individual form of locomotion in terms of its direction and speed. Sidewalks, pedestrian areas, traffic-free roads and squares are the public spaces most preferred by those navigating a city on foot, marking its pavement and paths with the pulses of their steps. 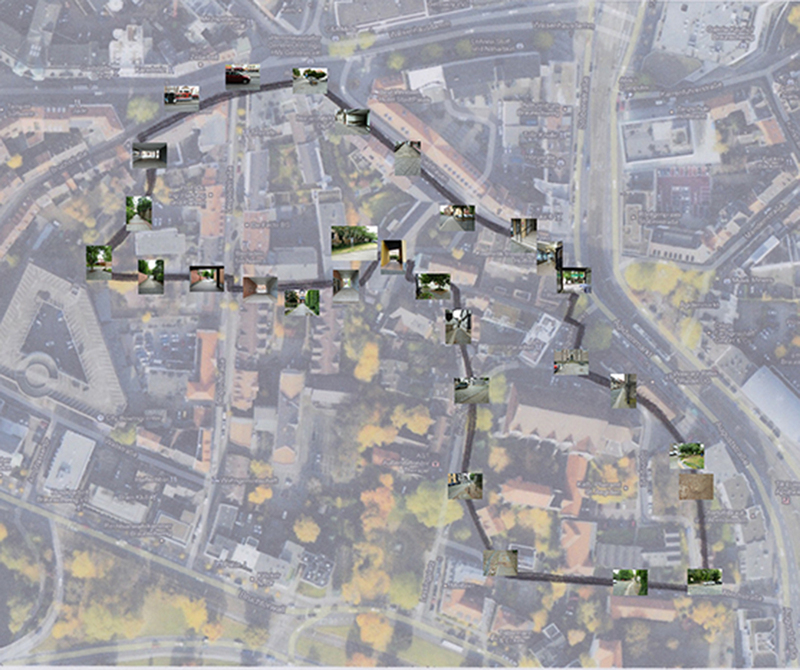 The format path_of_awareness explores the personal experience of space while walking, especially the effective context of the built environment and a sound event (step) within. For path_of_awareness_braunschweig, I was using the Allgemeinen Konsumverein in Braunschweig as starting point and chose a route offering a wide variety of opportunities to engage with walking itself, characteristics of footwear, navigating cities on foot, and also with architectural and atmospheric space. The liveliness of a city is reflected in the activities of its inhabitants: how, when and where they move around in it. Walking is the most individual form of locomotion in terms of its direction and speed. Sidewalks, pedestrian areas, traffic-free roads and squares are the public spaces most preferred by those navigating a city on foot, marking its pavement and paths with the pulses of their steps.